It’s shocking, I know, but Illinois doesn’t have an “assault weapon” ban. While so many anti-gun states have them, it’s easy to forget that they’re not as universal. Mostly, it’s never happened because as much as Chicago dominates the state’s political landscape, guns are something the more rural parts are willing to fight over. Thus far, they have, and they’ve won. But now it seems that the Democrats in the state are feeling froggy and think it’s time to go at it again. A pair of Democratic lawmakers have sponsored a piece of legislation making it illegal to own several different firearms. And several southern Illinois lawmakers plan to fight the bill. “Our second amendment rights are sacred to we as Americans, and here in southern Illinois we’re not going to tolerate it,” State Rep. Terri Bryant, (R) Murphysboro, said. Terri Bryant says Senate Bill 107 is just the latest attempt to ban legal guns. 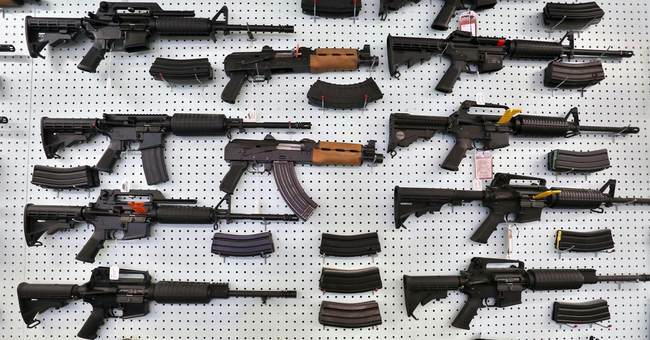 Democratic senators filed the bill Wednesday and it bars anyone from owning certain semi-automatic rifles, pistols and shotguns. That includes AR 15’s. 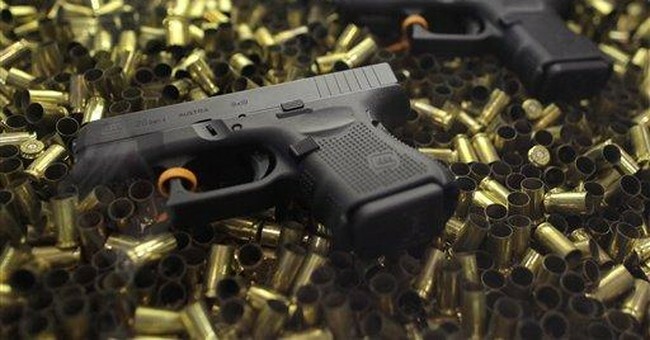 It also allows gun owners to keep their weapons if they register them with Illinois State Police within 300 days of the bill passing, but any future sales of those guns would be prohibited. Note that it doesn’t just focus on so-called “assault rifles,” but also certain semi-automatic shotguns and pistols. In other words, Illinois Democrats are trying to be as sweeping as possible. In the process, they’re seriously infringing on the Second Amendment. But, then again, that’s just what anti-gunners do. They latch onto the boogieman of the moment, then swoop in with new regulations that are supposedly designed to curtail violence but do nothing of the sort, which encourages them to do more of the same. The definition of insanity is doing the same thing over and over again but expecting a different result, yet doesn’t that perfectly encapsulate gun control efforts through the years? Illinois has some tough gun laws already, yet look at Chicago. The body count every week from the Windy City is a national punchline, yet what have those gun laws accomplished? Nothing. At all. Despite that, Chicago continues to push for more and more. Peace is only one or two more gun laws away, at least in local government officials’ minds. But it never materializes. At some point, you have to stop this nonsense and come to terms with the fact that criminals are going to get those guns regardless of what laws you add to the books. Instead, take a step back and recognize that you have all the tools you need. Step up enforcement efforts while also working on new programs designed to prevent violent behavior early. Maybe then you’d start to see some peaceful nights in Chicago. That’s not going to happen if you keep pretending guns are responsible for what’s happening there. Only a fool would hold onto that notion despite the decades of proof that it doesn’t work. Look at New York City. Yes, it has very tough gun laws. But those gun laws were in place during times of relative peace and through times of sky-high crime. The gun laws had no impact on the matter. Instead, it was other factors that reduced crime and made life in the Big Apple safe for all. Banning certain guns won’t accomplish a damn thing. Worse, I think Illinois Democrats know it. They just want to look like they’re doing something. Too bad they’re trying to do the wrong thing.